Take your first steps in the adventure sport of scuba diving on this scuba diving day trip in Nusa Penida, Bali. You'll begin with a short training in the dive centre's swimming pool. A certified dive instructor will teach you the basic skills of diving, from using scuba gear to breathing underwater. Soon, you'll head out to dive spots in the Bali sea and complete two open water dives. The welcoming waters of the turquoise Bali sea are blessed with a wide variety of corals and marine life, perfect for your first scuba diving experience. 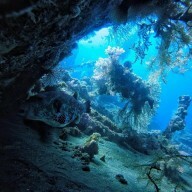 NOTE: This scuba diving trip in Nusa Penida can be booked by non-swimmers as well. Nusa Penida, a brightly coloured tropical island off the coast of Bali, is located near some of the most stunning dive sites in the Bali sea. Some of the most popular dive sites include the Crystal Bay, where you can periodically spot humongous Mola Molas or even dolphins, and the Manta Point, named after the mature Manta Rays that often swim these currents. These dive sites in the Bali sea host vibrant and lively corals that offer a great visual experience. • Earn your PADI Discover Scuba Diver certification. • Dive in low water currents, suitable for non-swimmers. • Learn skills required to use your own scuba diving gear. • See Manta rays, Mola Mola fish and the diverse marine life. You must respect the natural habitat while scuba diving in Bali. You will have to sign an indemnity form before starting the Discover Scuba Diving trip in Bali. If cancellation is made 7 days or more before departure of the scuba diving trip in Bali: 100% refund. If cancellation is made 7 days or less before departure of the scuba diving trip in Bali: no refund. You'll be picked up from your hotel in Sanur, Kuta, Seminyak and Nusa Dua for this Bali scuba diving trip. If you're staying in a hotel outside these areas, you'll need to make your own travel arrangements to reach the dive centre. Travellers are responsible for their own belongings and the operator will not be responsible for any loss or damage while scuba diving in Bali. You are required to sign the PADI health and liability release form prior to scuba diving. Go scuba diving in Nusa Penida, Bali! Your pick-up will arrive to take you to the dive centre in the morning. You'll be heading on a short drive to the dive centre in Sanur, where you will learn the basics of scuba diving. You'll then continue your journey to Nusa Penida, on a boat ride from Sanur jetty. Over the course of the day, you will complete two open water dives in the Bali sea, exploring dive sites teeming with exotic marine life. An appetizing lunch with snacks will be served in between your dives. You'll head back to your dive centre in Sanur by late afternoon. Your trip ends here. All equipment required for scuba diving: BCD, regulators, wetsuits, fins, boots, masks, snorkel etc. A pick-up and drop-off is offered between your hotel and the dive centre. Please inform the tour operator the exact address of your hotel or place of accommodation before your trip. A lunch is served between the two dives on the boat. 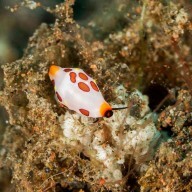 You'll be picked up from your hotel in Sanur, Kuta, Seminyak or Nusa Dua for this Bali scuba diving trip. If you're not staying in one of the aforementioned areas, you'll have to make your own arrangements to get to the dive centre.